ACT Wire Nuts | ACT Wire Connectors | Cal Fasteners, Inc.
For fast, easy, and safe electrical wire connections, you need wire nuts. Cal Fasteners stocks durable, high quality wire nuts from ACT. ACT’s wire connectors are designed to fit your fingers comfortably for increased torque strength. Ribbed exteriors make gripping easier, and deep skirt entries provide protection against flash-over and shorts. Threaded funnel entries guide wires into the connectors easily, and square wire springs offer more secure gripping on electrical conductors. 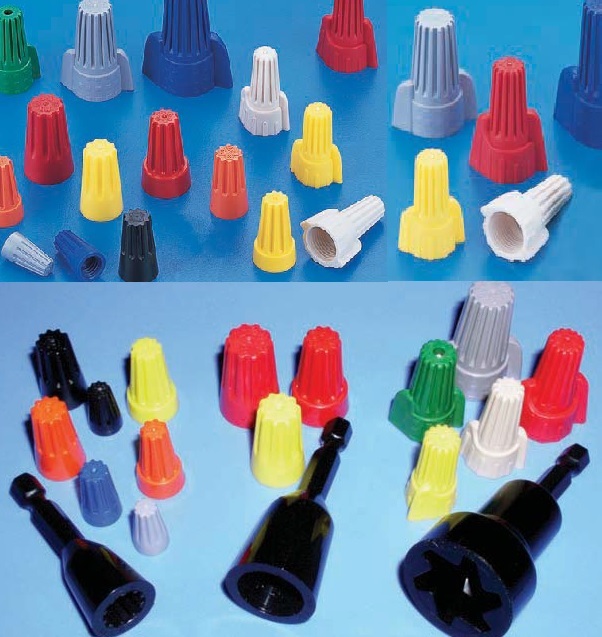 We offer ACT wire nuts in five standard colors for color-coding and wire identification purposes. Available wire gauge range is 2#22 to 3#10. Maximum voltage capacity is 300 to 600 volts (varies by model). Please see individual product listings for full specifications. Request a quote on the wire connectors you need, or contact Cal Fasteners to learn more.